And so now I’ve read the final book in the main trilogy of the series. I’ve seen too many people lose the plot by this point in the series, so some spoilers may be in order here to give some of my thoughts on what happened here. First up, Thomas, Newt and Minho choose to not have their memories returned to them. They no longer trust WICKED, something that Thomas’s memories indicate to him. He may have revived the organisation after the original people running the experiment had killed themselves (due to having the Flare) but he knows that he was never happy with the methods being employed to try and find a cure for the Flare. We learn early on that most of the teens are immune to the Flare, but that some were controls. Newt is one. He has the Flare, and early on in the book its effects begin to show. Then unfolds a scenario that I still haven’t decided was a set-up or was simply how events unfolded. Theresa and the other teens flee the WICKED base, but apparently of their own accord, and head to Colorado. Thomas, Newt, Minho, Barbara and Jorge (the latter two characters working for WICKED who were introduced in The Scorch Trials) head for Colorado too, because there is apparently someone there who can remove the devices in Thomas, Newt and Minho’s brains – but Thomas’s in particular. On reaching Colorado, they soon learn of a faction called the Right Arm from Gally (who we last saw at the end of The Maze Runner), who has left WICKED to join them. They’re intent on taking WICKED down. I won’t go into much more detail except for one thing. 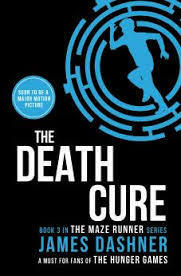 Towards the end, Assistant Director Janson is intent on studying Thomas’s brain structure – a process that will kill him (the “death cure” of the title – apparently going through dying might give them the missing piece for the cure) – and is thwarted by the Chancellor, who tells Thomas where to find the new unwilling participants in a “repeat trial” (dubious because of the sheer quantity placed in the maze), and also how to get out of the WICKED headquarters. The impression that I got from this part was that whatever Janson is up to at this point, it is certainly not finding the cure for the Flare. My view is that Janson has a personal vendetta against Thomas (for whatever reason) and simply wants him dead, cures be damned. It is the only real explanation for his sheer doggedness – right up to the last – and also for why the Chancellor works to circumvent him and save as many immunes (Munies) as she can. In the Maze, life was easy. They had food, and shelter, and safety… until Teresa triggered the end. In the world outside the Maze, however, the end was triggered long ago. Burned by sun flares and baked by a new, brutal climate, the earth is a wasteland. Government has disintegrated—and with it, order—and now Cranks, people covered in festering wounds and driven to murderous insanity by the infectious disease known as the Flare, roam the crumbling cities hunting for their next victim… and meal. I picked this book up hard on the heels of The Maze Runner. I still had unanswered questions, given that The Maze Runner (the book) gave as many answers as the movie had – pretty much none. So reading the next book was a necessity. 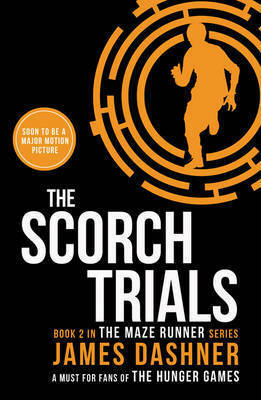 To my utter satisfaction, The Scorch Trials began to fill in some of the blanks, particularly as Thomas begins to remember some of his life before the maze. But thankfully, Dashner doesn’t hand the answers on a platter. One still has to connect the dots and make a few educated guesses. 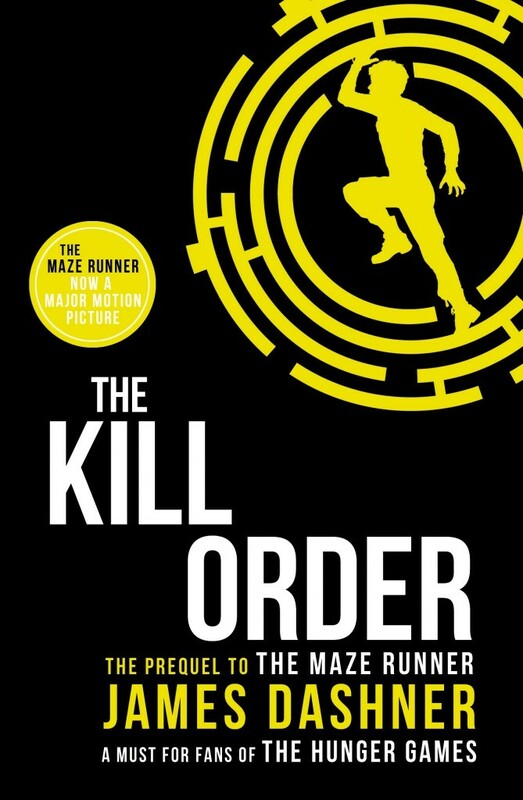 What I really loved about this book – and The Maze Runner too, really – is that Dashner employs some ingenious (and vicious!?) tech that is pretty unique to his books. Very refreshing. And yet again, this one is a rollercoaster ride as events just do not let up on Thomas and his fellow Gladers. The challenges they face in this second book are even greater than the first – kudos to Dashner for achieving this! And I was particularly chuffed with myself to figure out one event near the beginning of the book that the teens never work out for themselves – probably due to the fact that they’re constantly being thrown with new threats, so never got to really think about it. Onwards to The Death Cure. Post Haste. Hope rises in the hearts of those still left standing, but safety seems to be just an illusion. In a single night of shattering terror, Plum Island is destroyed, and key scientist Dr. Kate Lovato is abducted. Almost seven weeks have passed since the Hemorrhage Virus ravaged the world. The remnants of the United States military have regrouped and relocated Central Command to the George Washington Carrier Strike Group. It’s here, in the North Atlantic, that President Jan Ringgold and Vice President George Johnson prepare to deploy a new bioweapon and embark on the final mission to take back the country from the Variants. 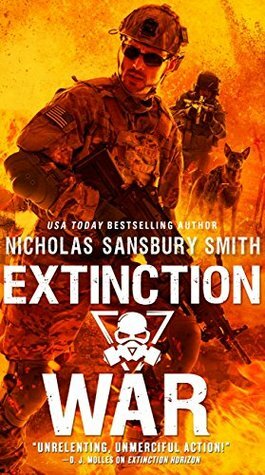 With his home gone and his friends kidnapped, Master Sergeant Reed Beckham and his remaining men must take drastic measures to save what’s left of the human race. But not everyone at Central Command has the same plan for victory. As the Variants continue to evolve, only a handful of heroes stand between the creatures and mankind’s total extinction. One way or another, the battle for the United States of America ends here. Phew! This book was a tough ride. But in a very good way. I think part of it is that, going in, one knows this is the final book of the series and one BADLY wants things to work out well, but seriously, THE. CHAOS. DOES. NOT. STOP!!!!! I could swear that Smith threw everything (else) he could think of at Team Ghost and the Variant Hunters within the pages of this book. And there are surprises too. One would think that after four books Smith might have run out of ideas to ramp up the threat levels, but by golly, did some elements come out of the crawlspaces in this one. Sheesh. And those juveniles. Dear God, those juveniles! I’ll say no more! Oh. I’ll mention one more name. Kramer. I really like the way Smith writes. His words don’t get in the way of the story. One opens up the pages of this book and finds oneself right alongside Beckham, Kate, Fitz, Apollo, and the other characters we’ve come to know and love (and the rest that we hate) – and a few new ones too. 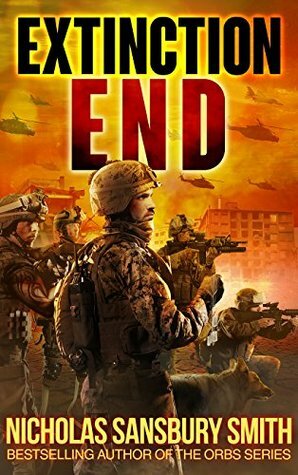 Action-packed, gory and at times quite dark, this book is a rollercoaster ride that may take you a few hours to recover from once you’re done reading. Fabulous stuff.